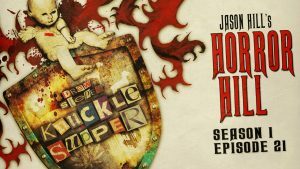 Learn more about host Jason Hill. 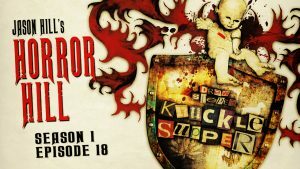 A multiple story, horror-themed audio storytelling podcast, spun off from Chilling Tales for Dark Nights and its popular YouTube channel of the same name. The show stars voice actor / illustrator Jason Hill, and the hand-picked work of dozens of accomplished independent and previously-published contributing authors. Hosted by Jason Hill, and featuring stories by Adam Howe & Homer Lanley, Jr. The stories on Horror Hill are amazing! And I love Jason Hill's voice and narration, it's perfect! 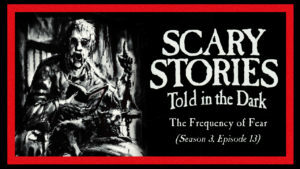 Horror Hill's stories are terrific, and the narration is divine. This network gets better and better﻿. The quality of tales so far is more than comparable to the outstanding quality and imagination heard on the acclaimed Pseudopod with the added bonus of well-produced audio sound effects and improved voice-over. If this keeps up, Pseudopod might take a backseat to the title of my favorite horror fiction podcast. Bloody good tales! Jason Hill does it again. Well done, all involved. Bravo! Horror Hill is spellbinding! This is making my work day, OMG! 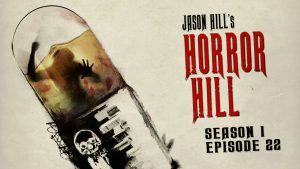 Jason Hill is the voice of terror! If you're looking for horror and an amazing narrator, you won't be looking anymore. 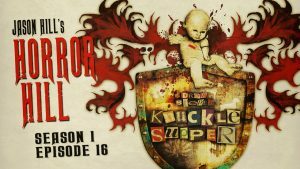 If you're simply stumbling upon Horror Hill, you're going to wish you would've found it sooner. The stories push the boundaries of your imagination and comprehension. After finishing the first episode I was wanting more. Can't wait to see where they take us with this, but wherever it is, I'm ready. Wow! Horror Hill is intense & incredible! Well done! I listen to all the horror channels and I have to say I'd been getting burnt out. Hard to find fresh stories or decent ideas. 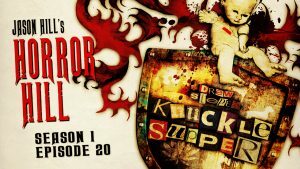 These Horror Hill stories are top notch and the narration is great. Keep up the good work﻿! Horror Hill is always so good. You guys should do this live on stage﻿. OMG, I love the Horror Hill series so much! Loving it! 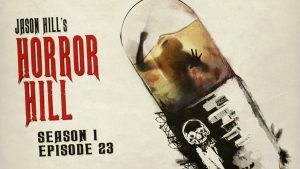 Can’t wait for the next episode of Horror Hill! Damn, I love Jason Hill. What an amazing narrator with really cool and scary stories. Thanks, Horror Hill is exceptionally great﻿. Horror Hillfeatures an amazing choice of stories... utterly terrifying. Jason Hill does the authors proud as always. Horror Hill is amazing. 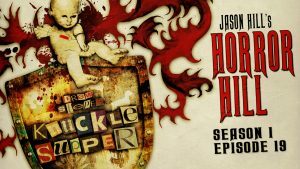 The stories are amazing, and Jason Hill makes for really immersive listening. OMG, Jason Hill's voice so smooth and ominous: narration perfection. Thank you! I really love these stories﻿! 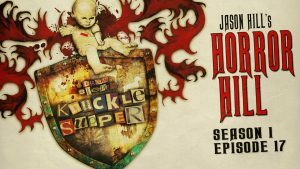 Horror Hill is an excellent new addition to the Simply Scary Podcasts Network, and I'm looking forward to any and all new episodes! Love the narration. Keep up the killer work﻿! Absolutely amazing narration and stories! Holy s&%@, I am blown away by Horror Hill. Great scary stories from a great narrator! I'm really digging these. Jason Hill is by far the best voice actor/narrator I've heard as far as creepypastas go﻿. OMG, Horror Hill is freaking amazing! I can't WAIT until the next episode. Each story had me on the edge of my seat! 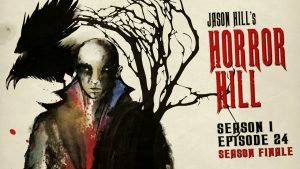 The Horror Hill series is the best﻿! Jason Hill is outstanding at his storytelling. I understand he is also a registered nurse. Quite a contrast in careers! Love his voice! 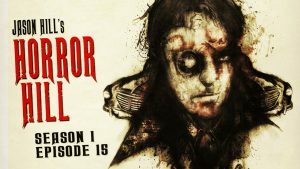 Horror Hill is an amazing and terrifying addition to the Chilling Tales roster! 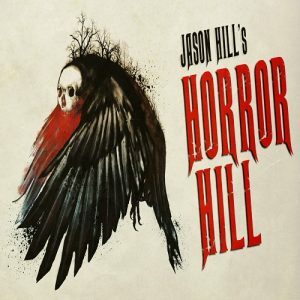 Jason Hill's vocal performances are phenomenal and the stories will make your blood run cold. I love Jason Hill's voice! Great pick of stories also! Jason Hill is one cool narrator, and I love the stories. I'm hooked! Fantastic tales, well-told by a master of his craft.